In addition to her consulting practice, NwamakaAgbo.com, Nwamaka is also a Senior Fellow at the Movement Strategy Center and a 2017 Fellow for the RSF Integrated Capital Fellowship Program. 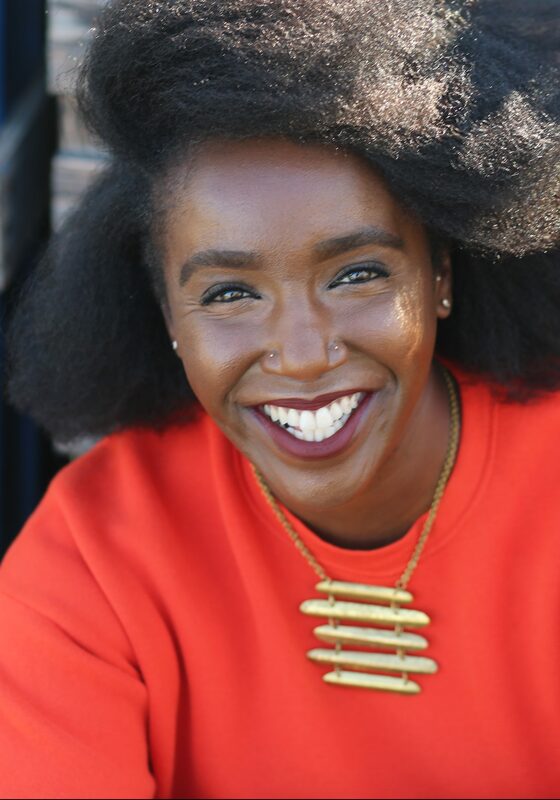 Nwamaka previously served as the Director of Programs at EcoDistricts leading Target Cities – a program to support 11 neighborhood-scale sustainable urban regeneration projects across North American committed to equitable economic development. Fahad Ahmad is a consultant, researcher, and program evaluator. He helps social justice, arts, and community-based nonprofit organizations to enhance their strategic, operational, and leadership capacities. He is currently pursuing a PhD in Public Policy at Carleton University. Fahad was the COO and later the interim CEO of Soliya, an innovative nonprofit that uses new media technologies to educate and mobilize global youth in order to foster greater cross-cultural understanding. He continues to serve as Soliya’s Senior Advisor. Fahad has also worked as the VP of Strategic Initiatives at Search for Common Ground, one of the world’s largest peacebuilding organizations. Fahad’s expertise includes policy analysis and advocacy, developing and implementing organizational strategy, driving social change using new technologies, managing and evaluating domestic and international programs, building partnerships and mobilizing community, developing earned income strategies, and applying for funding support from foundations and governments. He has facilitated nonprofit board and staff conversations to establish governance structures and create implementable strategic plans. Fahad’s diverse experiences and background make him a creative problem solver. He has worked as a computer engineer, made short films, and has lived and worked in the Middle East, India, Canada, and the U.S. Fahad holds graduate degrees from York University in Canada (MBA) and the University of Wisconsin Madison (MS), as well as a Bachelor’s degree from India. 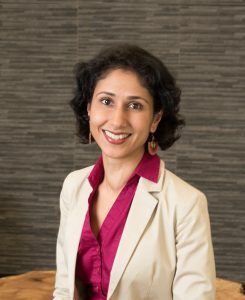 Shilpa Alimchandani has more than 20 years of experience in leadership development, diversity and inclusion, and intercultural learning. As the Director of Learning & Innovation for Cook Ross, she leads the organization in co-creating learning solutions with clients that lead to transformational change. 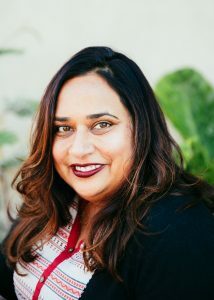 With her deep knowledge of various learning modalities, intercultural leadership development, and human-centered design, Shilpa is able to craft learning interventions that are targeted, impactful, and appropriate for diverse, global audiences. Before coming to Cook Ross, Shilpa designed and implemented global leadership programs for the State Department, led the development of a global learning strategy for the Peace Corps, and taught in the School of International Service at American University. She has facilitated trainings in nearly 20 countries around the world, and has received numerous awards, including twice receiving the Peace Corps’ Distinguished Service Award. She is the author of the book Communicating Development Across Cultures: Monologues & Dialogues in Development Project Implementation (Lambert Academic Publishing, 2010), and has been an invited speaker at numerous conferences, including The Forum on Workplace Inclusion and the Society for Intercultural Education, Training, and Research (SIETAR). She has also been a guest lecturer at numerous academic institutions, including Georgetown University and the United States Institute of Peace. Solidaire Network and a passionate advocate for participatory grassroots-led social change and movement building. In her wide-ranging international career devoted to social, ecological, and economic justice, she has previously led Thousand Currents as our Executive Director for nine years; led a national social enterprise; managed a public telecommunications infrastructure fund addressing digital divide issues in Texas; and worked as a researcher, planner, policy analyst and strategy consultant. Vini also worked alongside community leaders as a capacity builder for youth polytechnics in rural Kenya for over two years, an experience she credits as motivating her to work to transform U.S. based philanthropy towards more people-centered practices. 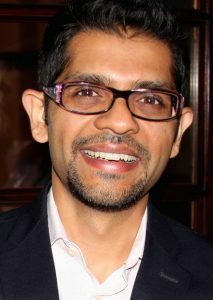 Born and raised in India, Vini earned a Master’s in Public Affairs with a focus on technology and telecommunications policy from the LBJ School of Public Affairs at the University of Texas at Austin and a Bachelor′s in Astrophysics and Interdisciplinary Studies in Humanities & Social Sciences from UC Berkeley. Vini has been involved in community organizing and volunteer board roles for the last two decades. Currently, she serves on advisory boards for the Women’s Building in New York City and guest lectures in the Master’s of Leadership in Sustainability Program at the University of Vermont. In 2015, she was honored with a Leaders in Action award by Asian Americans/Pacific Islanders in Philanthropy (AAPIP), and she was a Social Entrepreneurship (SEERS) fellow at Stanford University in 2016. Vini is also a published poet, essayist, popular educator, coach and leadership trainer with the Rockwood Leadership Institute. When not engaged with community organizations, Vini can be found nesting with her family in Richmond, CA. Saba Bireda is an attorney at Sanford Heisler Sharp, LLP, a national civil rights firm. Saba joined Sanford Heisler Sharp after three years as a member of the senior political staff at the U.S. Department of Education in Washington, DC, including two years as Senior Counsel in the Office for Civil Rights. 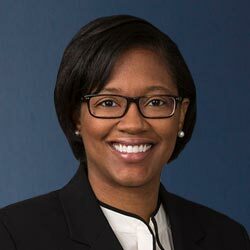 Her experience includes service as a policy and legal advisor at Educational Counsel, LLC, as Deputy Director of the Poverty and Race Research Action Council, and as an Education Policy Analyst at the Center for American Progress. Saba was also a Philadelphia Bar Foundation Fellow, working both as a Litigation Associate at Morgan, Lewis & Bockius, LLP and as a Staff Attorney at the Education Law Center in Philadelphia. 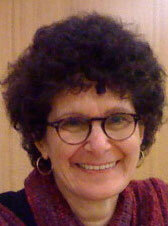 Ms. Bireda has written and spoken on a variety of topics related to civil rights and education. In May 2016, she was appointed by Mayor Muriel Bowser to serve a three-year term on the District of Columbia Public Charter School Board. She currently serves Vice-Chair. Saba is also a founding board member of the National Student Legal Defense Network, an organization created in 2017 to advance students’ rights to educational opportunity and to ensure that higher education provides a launching point for economic mobility. Saba has been appointed adjunct faculty at UDC David A. Clarke School of Law and the American University School of Education. She received her bachelor’s degree from Stanford University and her law degree from Harvard. Saba lives in Washington, D.C. with her husband and young son. 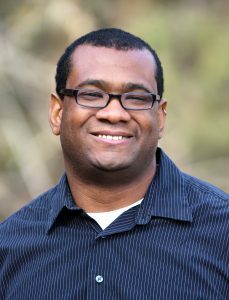 M. Jahi Chappell is a political ecologist and Senior Research Fellow of Agroecology and Agricultural Policy at Coventry University’s Centre for Agroecology, Water and Resilience in the UK. Prior to Coventry, Dr. Chappell worked across several disciplines and sectors, including a stint as a liquid soap formulation engineer, before returning to graduate school and completing a PhD in Ecology and Evolutionary Biology at the University of Michigan. He was subsequently a postdoctoral associate at Cornell University’s Department of Science and Technology Studies, followed by three years as an assistant professor of environmental science and justice at Washington State University Vancouver. From 2012-2013, he additionally served as the Associate Director of the WSU Vancouver’s Center for Social and Environmental Justice. In 2013, he left WSU to serve as co-Director of the program for Decentralized and Democratized Food Systems at the Institute for Agriculture and Trade Policy. During his time there, he spearheaded an open letter to the Secretary-General of the Food and Agriculture Organization of the United Nations that helped to solidify the FAO’s commitment to agroecology. He has consulted for the La Vía Campesina, the FAO, and the World Future Council. In 2018, he published his first book, Beginning to end hunger: Food and the environment in Brazil and beyond, which Raj Patel has hailed as “a provocation to new thought and better action to end hunger permanently. 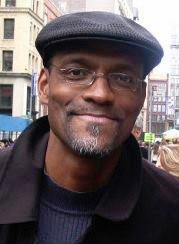 Gregory Hodge is a social change activist and organizational development consultant with Khepera Consulting. Working as a strategist, meeting designer, facilitator and coach, Gregory works with a range of groups from small non-profits and foundations to public agencies, particularly school districts. He has served as lead consultant on the Equal Voice for America’s Families Campaign, an initiative of the Marguerite Casey Foundation, and the 2025 Campaign for Black Men and Boys. His clients include The California Endowment, the Association for Black Foundation Executives, Sierra Health Foundation, and Oakland Unified School District’s Office of African American Achievement. As a leader in his community, Gregory served two four-year terms as a member of the Oakland Unified School District Board of Education beginning in January 2000, including a year as president of the board. He served nine years on Workforce Investment Board, City of Oakland. In addition, he serves as the Chief Network Officer for the Brotherhood of Elders Network, an intergenerational network of African descent men. Greg is a Fulbright-Hayes Fellow, recipient of the Gerbode Fellowship and the Rockwood Leadership Institute board chair and alum. He holds a Bachelor of Arts degree from Northwestern University and a law degree from Golden Gate University in San Francisco. He is a proud father and active gardener, and lives in Oakland, California. Susan Rosenberg is a human rights and prisoners rights advocate, adjunct professor, communications consultant, award-winning writer, public speaker and a formerly incarcerated person. Her memoir, An American Radical, details her 16 years in federal prison as well as her conclusions about her prison experience and her past. She was released from prison in 2001 through executive clemency by then President Bill Clinton. Upon her release she worked at American Jewish World Service for 12 years beginning as a writer then becoming the Director of Communications. Post-AJWS Susan has worked extensively as a strategic consultant in organizational development with a focus on human rights, international development and criminal justice reform. She founded Sync It Communications, a communications-consulting group, and is the Director of the Erroll Garner Jazz Project. Susan is a founding member of the National Council for Incarcerated and Formerly Incarcerated Women and Girls and is on the Board of Advisors for Alliance of Families for Justice. She is an adjunct professor at Hunter College and a member of the prison writing committee of PEN America. Susan lives in Brooklyn, New York with her partner.